Effective management of the disease in Maris Piper calls for perfect timing and perfect irrigation. The good news is growers can afford to be more flexible when it comes to varieties with lower susceptibility to the pathogen. Quality standards for skin finish are tight in both the pre-pack and processed sectors, and common scab is estimated to cost the ware industry around £3 million a year. As tolerances to common scab are declining, getting the irrigation strategy right becomes crucial to achieving market requirements. 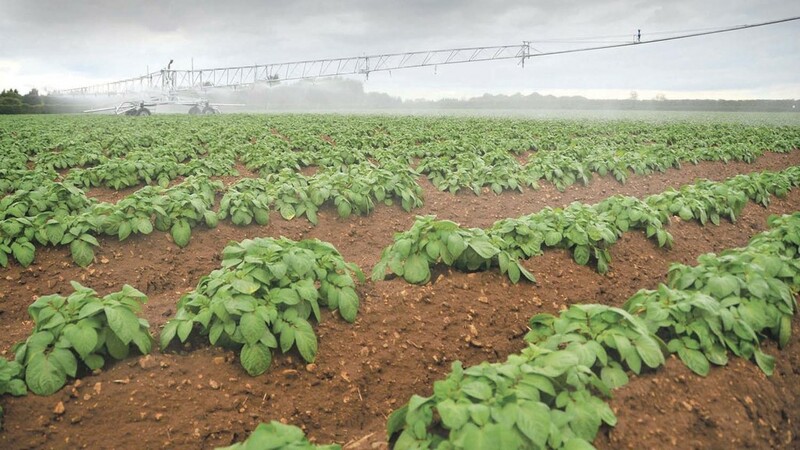 Many growers of the most susceptible variety, Maris Piper, can be caught out as they do not realise how soon scab gets into the crop, says Dr Stalham, who has just finalised an AHDB-Potato Council-funded study on early irrigation. Another common mistake is to water for a couple of weeks and then stop, which can result in worse scab than not irrigating at all. Maris Peer also appears in this category because of the sensitivity to blemishing in the market place with regard to salad potatoes. “You need to start at tuber initiation and continue until the tubers have grown out of the susceptible phase, which is four weeks in a main crop and six to eight weeks in a salad crop. This is because tubers in salad crops grow more slowly and therefore remain susceptible for longer. “Starting irrigation early and finishing it too soon can actually exacerbate the problem with these susceptible varieties,” adds Dr Stalham. But this is for the worst possible scenario, he adds, and growers with varieties with greater resistance to the pathogen can look at different strategies as starting date and duration are not so critical. The pathogens which cause common scab do not start to build up on the surface of the tuber until two to three weeks after initiation in less susceptible varieties, which gives growers more of a window. “Nevertheless, the crucial thing is to wet soil up, but it’s not about starting exactly at tuber initiation,” says Dr Stalham. In addition, with these less-susceptible varieties, the soil does not need to be as wet as for Maris Piper. It is not yet known whether these low levels are due to suppression or the absence of attractants released by the tuber, or even the presence of antagonists on the less susceptible varieties. “What is clear is that the good bacteria develop rapidly under wet conditions on resistant varieties,” he says. 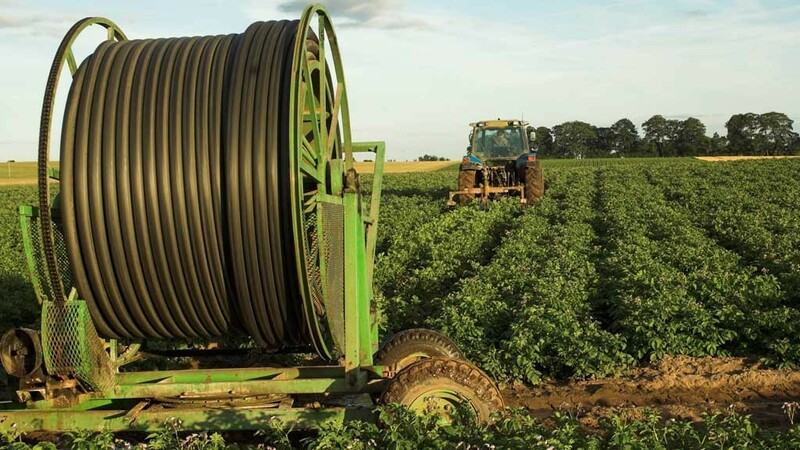 Growers’ concerns about wetting the soil at tuber initiation and scab often results in over-irrigation, particularly when rain-guns are used.